I got a call a few weeks ago from librarian, and good friend, Joan Arth. 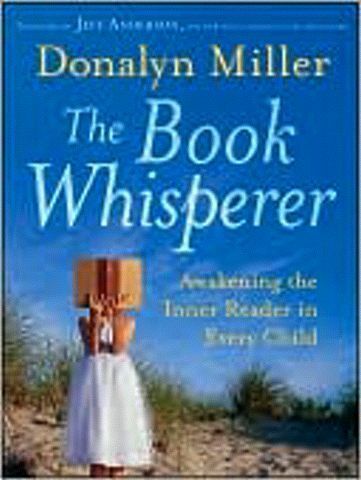 She told me she had just read an excellent book by Donalyn Miller called “The Book Whisperer.” Joan also mentioned that Donalyn had kindly mentioned some of my novels in her book (which of course peaked my interest even more). I looked Donalyn up on the Internet, read about her, and immediately ordered her wonderful book. Bottom line… Donalyn gets her 6th grade students to read 40+ books, every year, year after year, and explains exactly how she does this. When I write a book I “try” to create readers because of the profound impact reading has had on my life Donalyn actually “creates” readers by what she does in her classroom. All teachers, librarians, and parents need to read this book. You can find Donalyn under “My Favorite Links” on this page. Look her up. Read her book! Roland, You are so right about Donalyn’s book. I’ve known for years that reading self selected books increases both interest in reading and reading level, but Donalyn puts muscle in the theorem. I’ve recommended her book to teachers, principals and other librarians and so far, I haven’t found a single person who who didn’t like it and Donalyn’s classroom approach to reading. I can’t believe it! I just ordered this book from Amazon on Friday. Just happened across it as I was looking for others and thought, “I’ve got to read this one.” And now you and Joan recommend it. Can’t wait for it to arrive on Tuesday. Any book Joan Arth suggests is definitely one worth investigating. After I read it I’ll put it in our Professional Library and encourage our Literacy Coach to take a look. Thanks for the confirmation on a book I had just randomly selected.